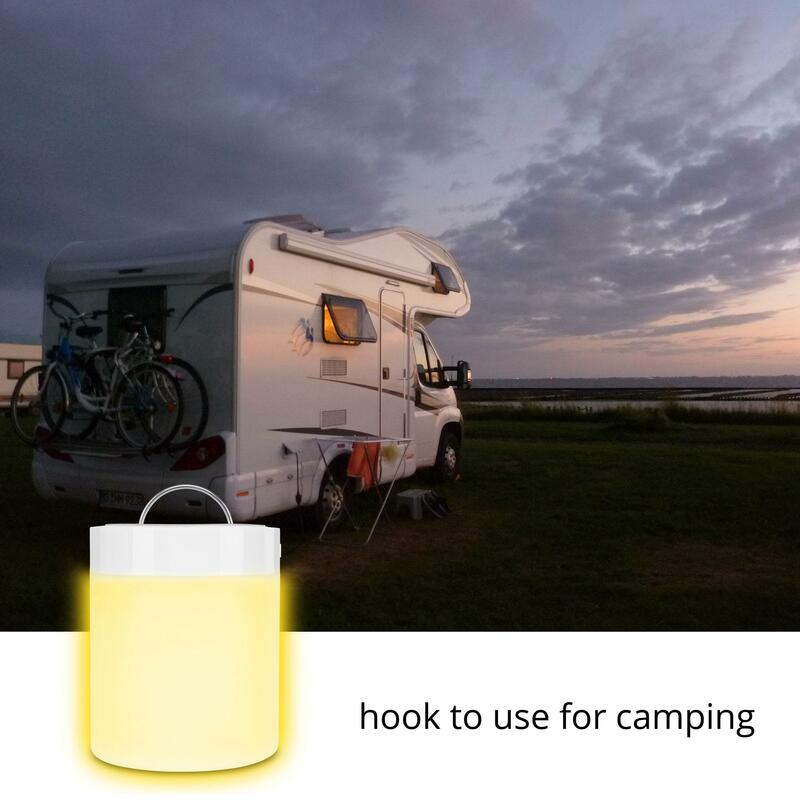 Aesthetic, flexible must-have for your home, office, camper, etc. 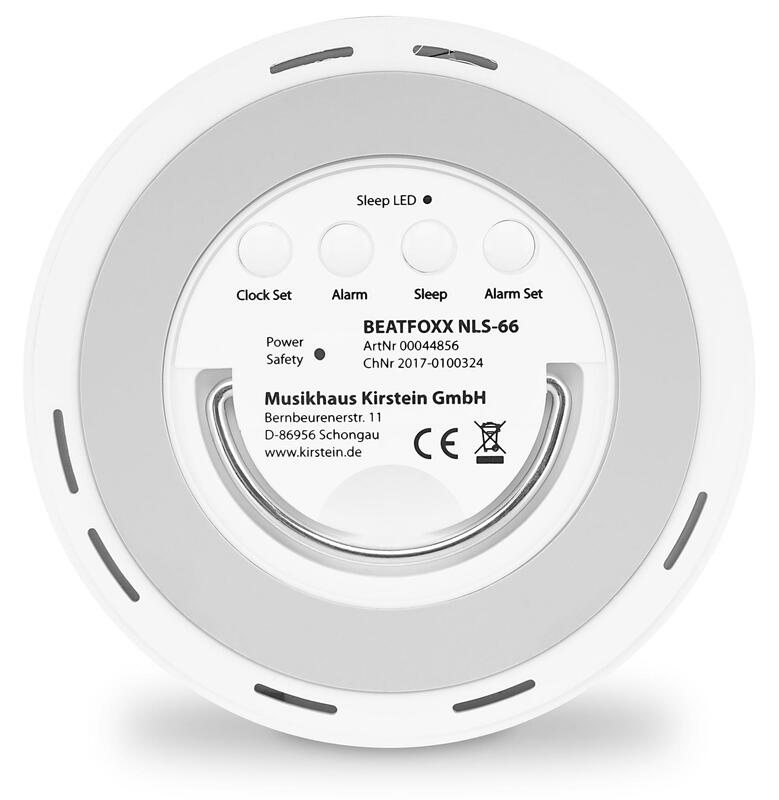 The smart, touch-sensitive, dimmable table lamp from Beatfoxx will impress you with its modern, unobtrusive design. 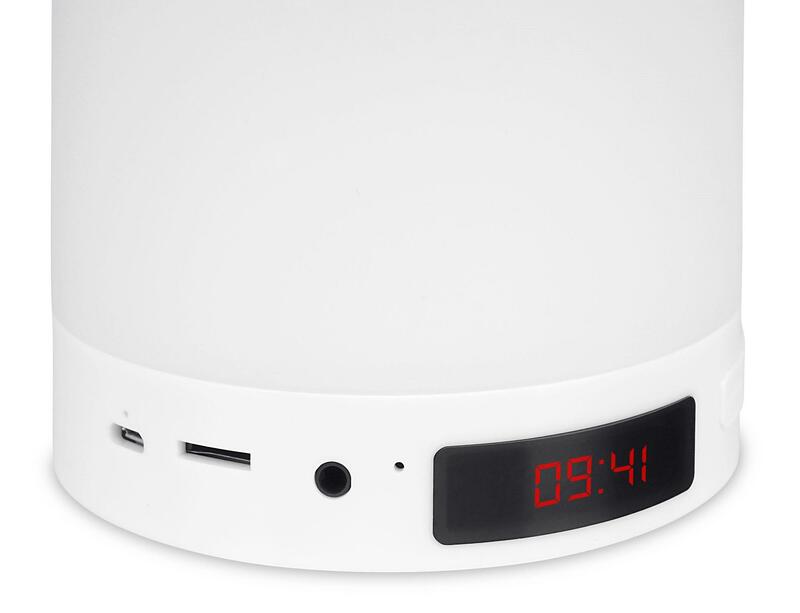 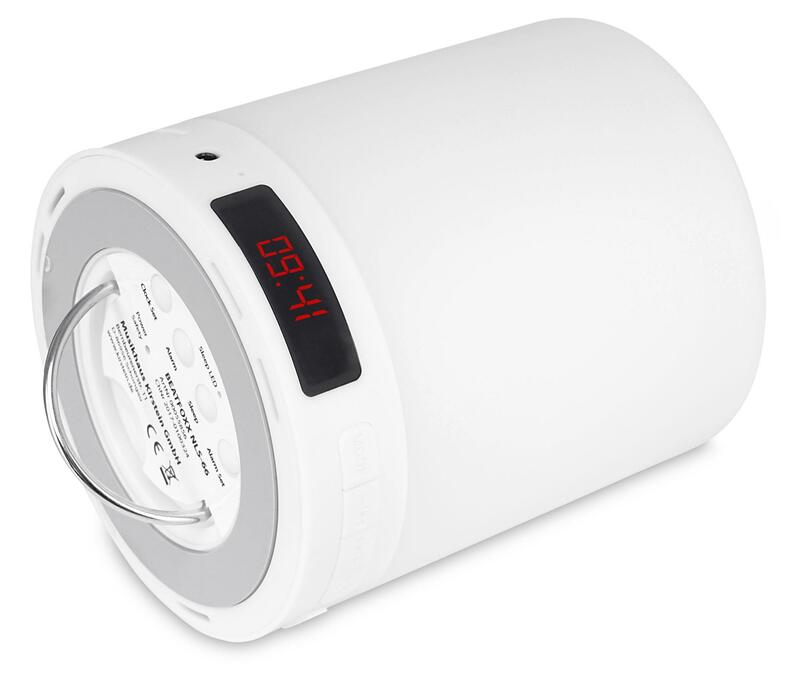 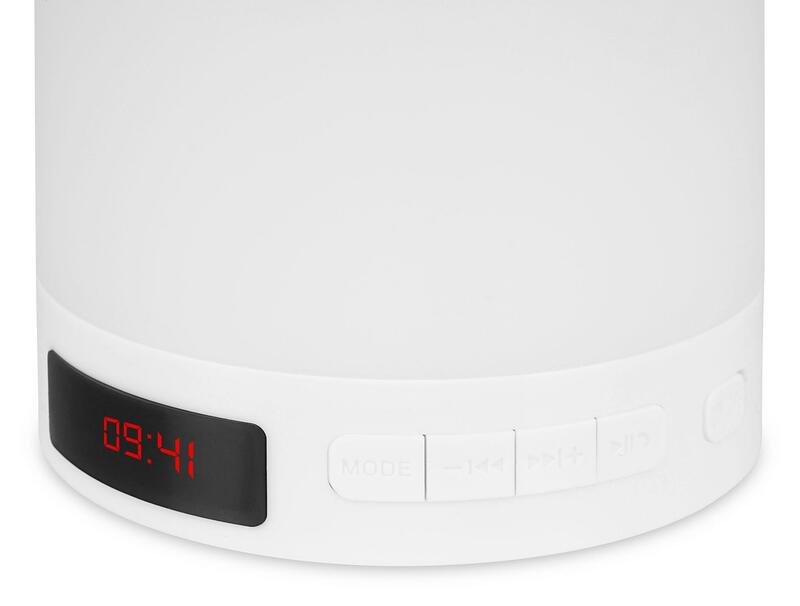 The high-quality touch lamp can also be converted into a Bluetooth® speaker, a radio with a tuner, and a digital clock with sleep mode and alarm function. 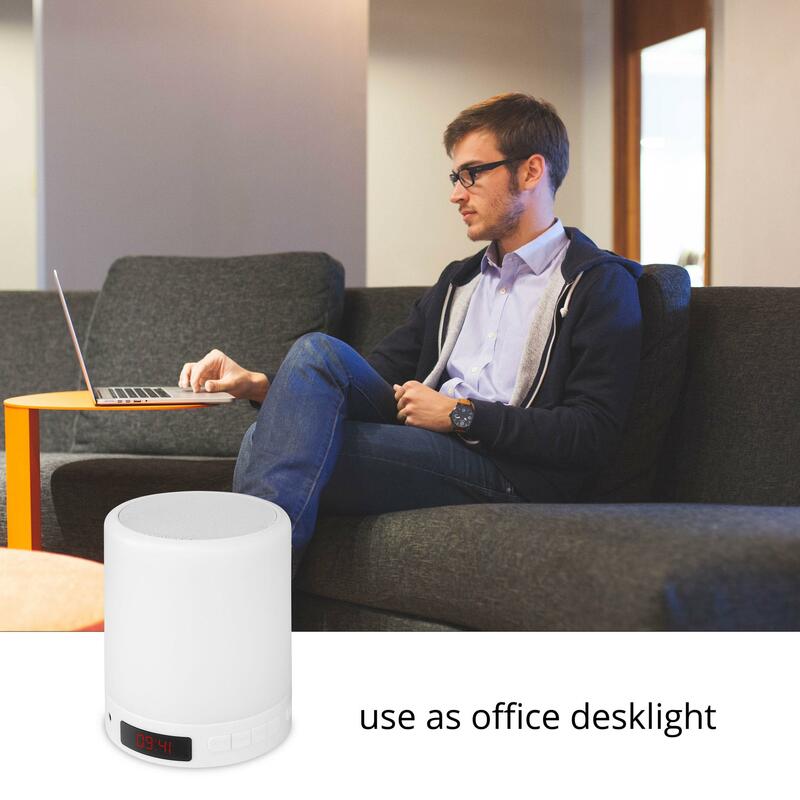 Fits anywhere with nearly limitless uses! 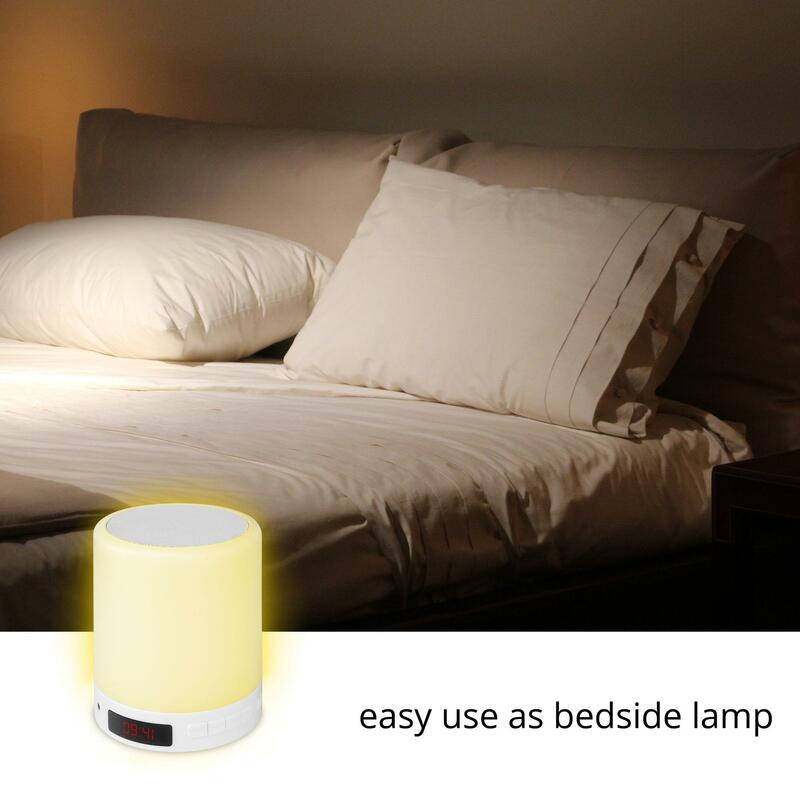 The lamp can be used as a night light, a night stand light in the bedroom, mood lighting in the living room, ambient lighting at parties, a desk lamp in the office, a portable light in the camper or garden, or as ambient lighting in shops and hotel rooms. 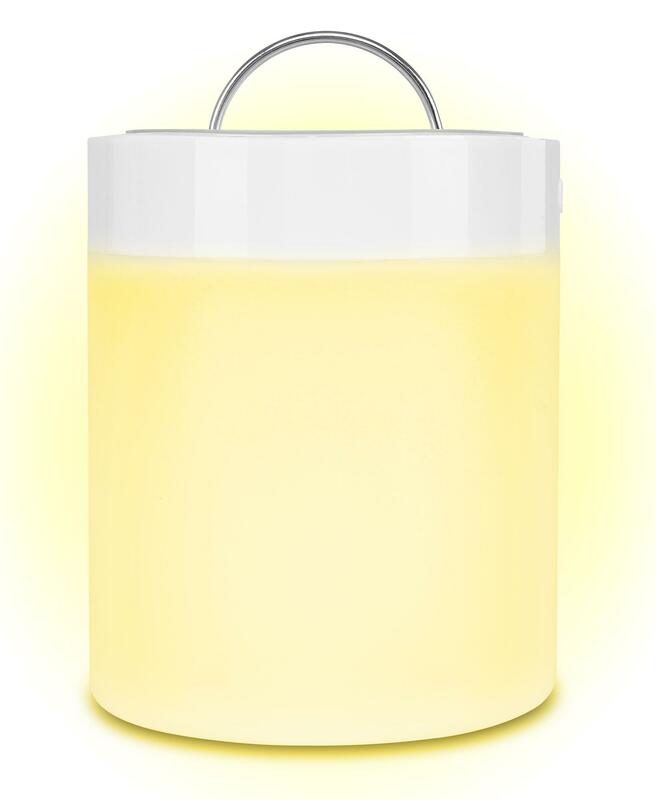 The LED light can be lightly tapped for dim light, tapped again for a medium-bright light, and tapped again for a very bright light. You can play music and radio through the built-in speakers. 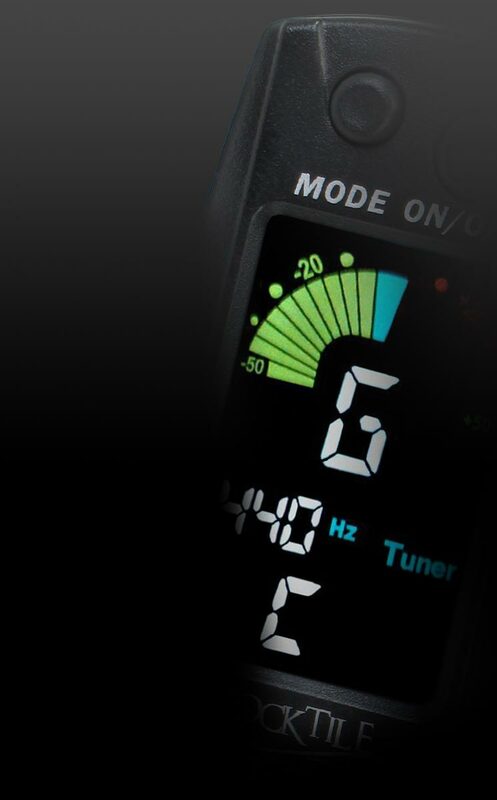 Connect with your smartphone (Bluetooth®) or a TF card (MP3). 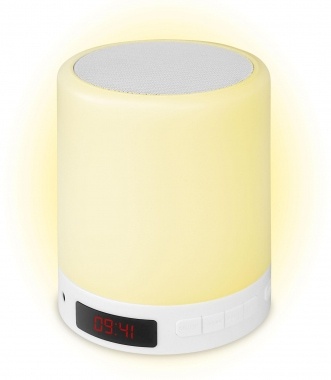 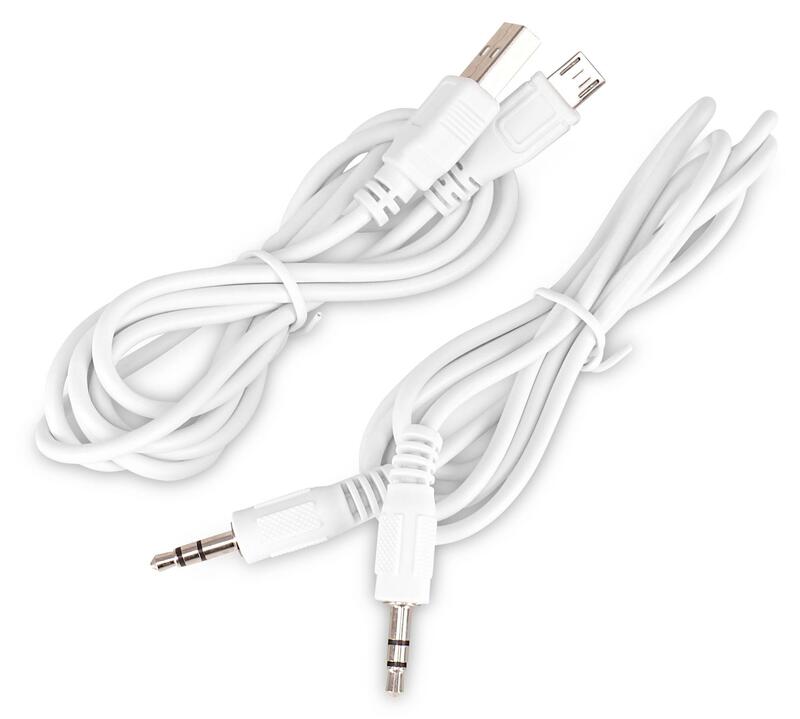 • Ideal for bedroom, living room, office, mobile home and much more.